This was my second stay at the Alto. Staff were extremely friendly. Even though the room was on level 1, I found it to be quiet. Location for what we needed was perfect. Excellent place for family of 4. We felt completely at ease in well looked after apartment with modern decor and everything we might need. The modern, spacious rooms are a wonderful surprise given the more traditional external appearance of the hotel. I really enjoyed my second stay. Would definitely return if travelling to Melbourne. very happy with our stay! we were upgraded to a king size bed which was extremely comfortable. friendly staff, nothing to complain about! Once again, all was the way we like it. New beds are very comfortable. Loved the little box of chocolates which greeted us. Convenient location. Useful washing basin, good squarish layout, spacious. Lovely staff, efficient and friendly. Room very clean, stylish and comfortable but a little bit noisy with those trams clunking past! All rooms have windows that open for fresh air. Our standard is to leave them open for guest arrival. Closing both sections of the double glazing will shut out most of the noise of the city. Great - the location, cleanliness and staff were the highlights. My favourite hotel in Melbourne. For service, comfort, location and value for money, the Alto is absolutely faultless. Highly recommended. Nice and close to the railway stationand skybus station and within walking distance of the central CBD shops and restaurants. Clean rooms. Very comfy beds. Great conditioner and plenty of it, a bonus for the girls! Oh... and I loved that they have decent powerful hairdryers.. definately a bonus for me! I think the only let down was the lack of a view, we had only a very small half sized window with a view of the brick wall next door. But for an overnighter, it was fine. The cleanliness was great. No mini bar, but free wifi and foxtel. Unfortunately being a small boutique hotel in a large city does limit views from some rooms. Rooms that enjoy a better vista include 1 bedroom spa apartments, 2 bedroom deluxe apartments as well as a some of the Studio Queen rooms. Exceedingly pleasant experience and I even came back the following night after my plans changed to enjoy an extra evening at the hotel. The location is brilliant, the rooms very clean and comfortable, and even the creaky floors seem to go with the boutique nature of the hotel. Overall we had a enjoyable stay. The library downstairs was great on the last day to relax for the last few hrs before our 9pm flight. Bed was too soft for us, so not the best night sleep we've ever had but still managed to sleep in! Great to have some "bookworms" inhabit the library. Our beds are filleted with deep pillow top mattress. While most people find the beds incredibility comfortable, those that prefer a firm bed may find them too soft. No matter we can easily remove the pillow top section to convert the bed into a much firmer format. Just ask when booking or even while in house and we can make the change. This is the second time I have stayed at the Alto and I was just as impressed as last time. The Staff from the cleaners to reception are a credit to you. Friendly and welcoming, good check in and was about to get access to my room early which was perfect. Great room! Staff extremely helpful! Lovely breakfast! Will definitely be back!! Very affordable and very appealing, in a great location. This is our 2nd stay within 3 month. Service staff were excellent and responded very promptly. Room is clean and with good facilities. TV channels was great and we were spoilt for choices. Very enjoyable. Good breakfasts. Room is super clean and well designed. Air conditioner did not work so room was too warm. If we are Melbourne again we will stay at the Alto. Our air conditioners are reverse cycle that can heat and cool. The mode may have bee set to heating as the evenings at this time of year are generally cool. However reception is open 24 hours a day with staff available to help with any inquiries or issues that may arise. Very comfortable, great location, quiet, staff friendly and helpful, super comfortable beds! My experience was wonderful, friendly staff, lovely clean room and bathroom. Location was ideal for my visit to Melbourne. We are a group of 7 friends (over 2 x apartmets) who travel to Melbourne to see AFL & visit rellies etc and the Alto is the right combination of all the above rating criteria. Most of us also stay with you at other times of the year, either singularly or as couples. While our restaurant is open for breakfast every day we have found that most guests over a weekend or holiday period such as Easter are more interested in trying one of the many dining precincts and exciting restaurants throughout the inner city. 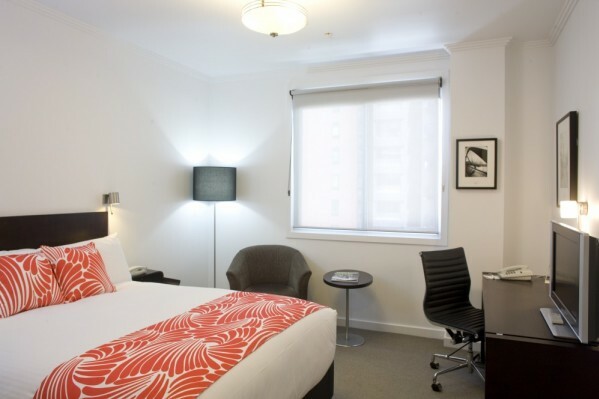 We love staying at the Alto and recommend it to everyone we know who needs to stay in Melbourne. The staff are always perfect, the room and facilities are always amazing and the location suits us perfectly. The pillows this time were a little bit firmer than I might like but other than that, it was perfect. Our beds are set with 2 distinct types of hypo allergenic pillows for guest to choose their preference. More of the preferred style will gladly be provided on request. The pillows on each bed are latex which provides a soft but firm pillow that holds its shape. The other is micro fire filled which reacts in a similar manner to a feather pillow in that is can be shaped somewhat to the users requirements. Highly impressed. Staff in particular derve a pat on the back. I was in Melbourne for business so needed a mix of accessibility, quiet, internet and food. The hotel is friendly and comfortable and all my needs were well met. The restaurant was good as were the availability of other restaurants in the area. Highly recommend. I had a lovely stay at the Alto Hotel On Bourke. I was particularly struck by the staff's friendliness and efficiency.